The longer you wait to have your cavity treated, the more extensive treatment may be. Not to mention, you may start to experience serious pain that may cause other dental issues. What is a cavity, and what is a cavity restoration? A cavity is a hole that develops in your tooth as a result of decay. It starts as a very small hole, which may only be visible when your dentist takes X-rays and uses tools to closely examine your teeth. Your dentist can use a restoration to close off the cavity so bacteria can’t enter this hole and cause further decay. A restoration is a term that encompasses crowns, onlays (partial crowns), and fillings. What does getting a cavity filled entail? Getting a cavity filled can typically be completed in one dental visit. Your dentist will first administer a local anesthetic to numb the area being treated. He or she will then remove the decay and clean out the area before restoring it with the chosen material. The local anesthesia will keep you from feeling any pain during your procedure. As the anesthesia wears off, you may feel some tingling or soreness. Your dentist may give you medication if needed. What happens if you don’t have a cavity properly restored and treated? If your cavity isn’t properly treated and restored, the hole and decay will grow larger as it spreads outward across your tooth’s enamel and inward toward its root. As damage spreads, you’ll experience pain. If your tooth’s root is affected, it won’t be able to carry blood and nutrients to your tooth. Your tooth will eventually die and fall out, possibly causing cosmetic as well as functional issues. If the decay reaches the soft tissues that help support your teeth, you may develop gum disease, which is also called periodontal disease. Depending on its severity, gum disease can cause your gums to pull away from the bottom of your tooth and expose its root. Your gums may bleed, feel sore, and cause bad breath. Gum disease can also cause infections that spread to and damage your jaw. These infections can even enter your bloodstream and affect your major organs. What are some ways to prevent cavities from forming in the first place? 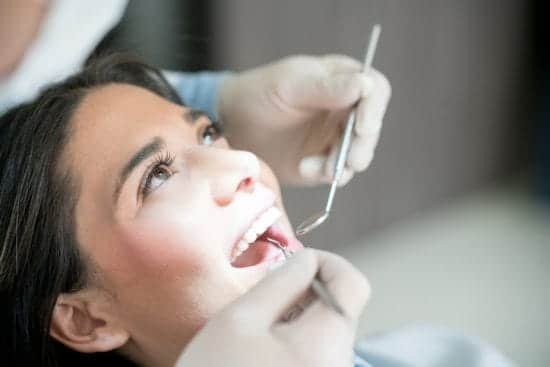 Regular dental visits – Visiting your dentist twice a year can help remove plaque from your teeth and detect any problems when they’re easiest to treat. Proper at-home oral care – Brush thoroughly twice a day and floss once a day to help prevent cavities. Dental sealants – A thin coating of a liquid sealant can be painted on your teeth to help protect them against decay. This is often done on back teeth, which are more prone to decay. Your dentist can talk with you about whether sealants may be recommended in your particular case. If you need regular dental care or are experiencing pain or another cavity-related symptom, call or stop by a Dental365 office in the NY metro area. We have offices throughout New York City, Long Island and are opening new locations monthly. For your convenience, we also have locations that are open seven days a week for appointments or walk-ins. Whether you need general dentistry services or a specialty such as oral surgery, you can find it under one Dental365 roof.